Head Ti S2 and Head Ti S6 are both popular and selling well on the market. They are praised for allowing beginners to play comfortably. Well, these are not the suitable racquets if you are seeking something that can improve your skills and techniques; instead, these are comfortable, for-fun racquets. Head Ti S2 and Head Ti S6 can be great for playing with your friends and family. So, which is the model that you should choose? Both Head Ti S2 and Head Ti S6 are wide and long. They both allow you to hit the ball easily. However, Head Ti S6 is the one that has a wider head. Head Ti S6’s head is 115 square inches wide, and it has 16 x 19 string pattern. In general, a wider head will make it easier to reach and hit the ball. Head Ti S6 also has a longer body than Head Ti S2, as it has 27.75 inches total length. A longer racquet also helps in reaching and hitting the ball. As a comparison, Head Ti S2’s head is 102 square inches with 18 x 19 string pattern. The head size is smaller, but the string pattern is tighter. The length is slightly shorter at 27.5 inches. Head Ti S2 and Head Ti S6 also have different materials. Head Ti S2 is made of titanium, whereas Head Ti S6 is made of graphite and titanium composite. Due to being completely titanium, Head Ti S2 is slightly heavier at 266 grams, whereas Head Ti S6 is lighter at 252 grams. In general, we must say that Head Ti S6 is much easier to play with, especially for beginners. The wider head and longer body really cover the lack of speed or skill of the player. Head Ti S6 is certainly a help for beginners and casual players who are not into very serious playing. However, the more experienced players may actually benefit from Head Ti S2. Even though it is slightly smaller and heavier, the significantly tighter string pattern makes a difference. Head Ti S2 is stronger, allowing you to hit the ball with more power. 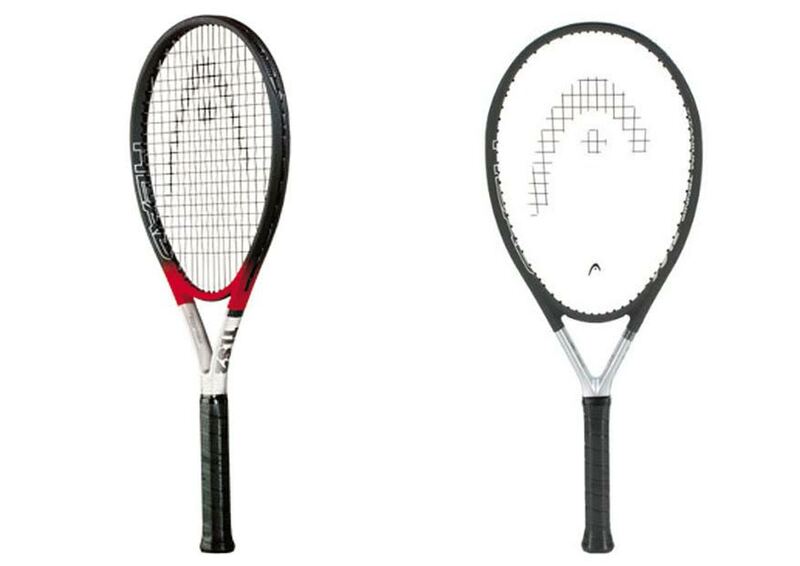 The tighter string pattern also makes it easier to control the ball. For most beginners and casual players, Head Ti S6 is more comfortable to play. However, if you already have a pretty good skill, you can benefit from Head Ti S2’s more control and power.